NanoWorld Arrow™ ultra-high frequency AFM probes are capable of resonating with a very high frequency of up to 2.0 MHz. This probe type combines outstanding sensitivity with fast scanning ability. All probes of the Arrow™ series are made from monolithic silicon which is highly doped to dissipate static charge. 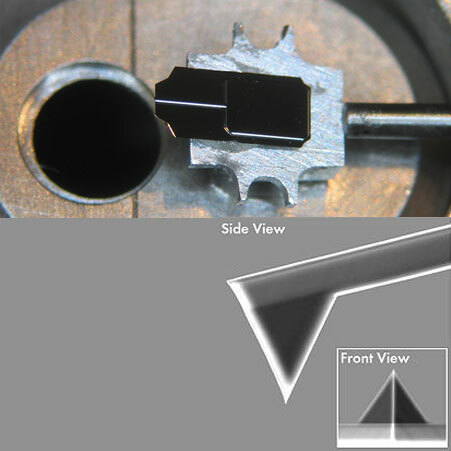 They are chemically inert and offer a high mechanical Q-factor for high sensitivity. 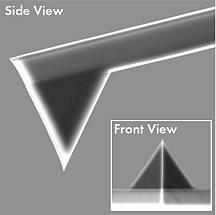 The probes feature a cantilever with a triangular free end and a tetrahedral tip ith a height of 3 µm.